Just one hour drive north from Brisbane you will find yourself in Caloundra, the first beach of the fabulous Sunshine Coast. 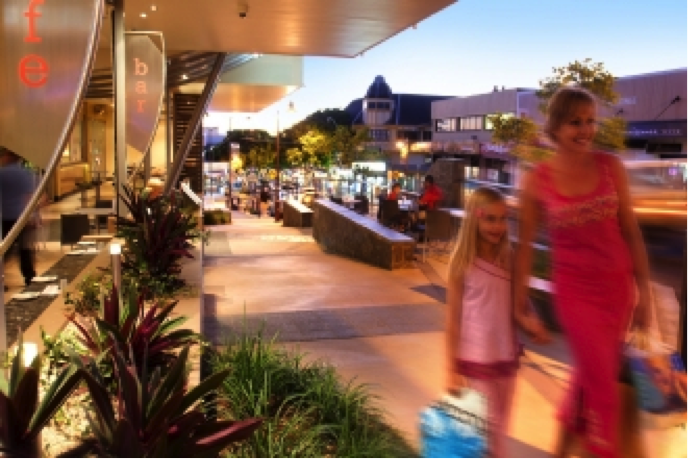 Because of its closer proximity to Brisbane than other Sunshine Coast destinations it is very popular for weekend or day trips. 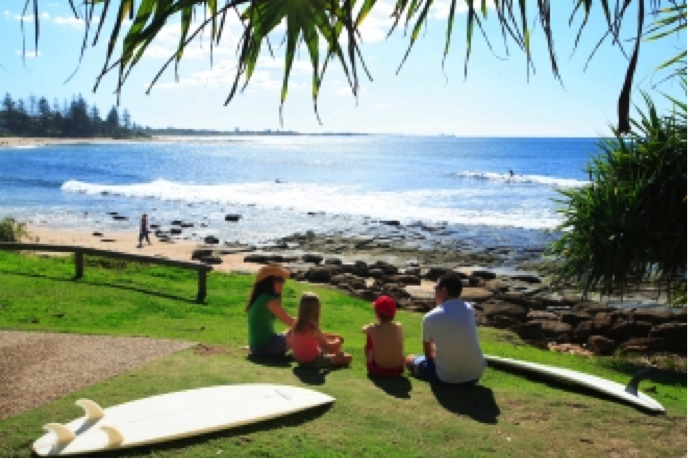 Caloundra is an ideal holiday destination for families or couples with beautiful beaches and parklands to enjoy. The foreshore is lined with boardwalks which attracts people of all ages for their morning or afternoon walks in a paradise like setting. Picnic areas are in abundance and it is a common sight to see the locals catching up in the late afternoon, in the cool of the day, to have dinner by the beach. King's beach pool is a safe, sheltered area that is perfect to cool off....AND is free to be enjoyed by everyone. 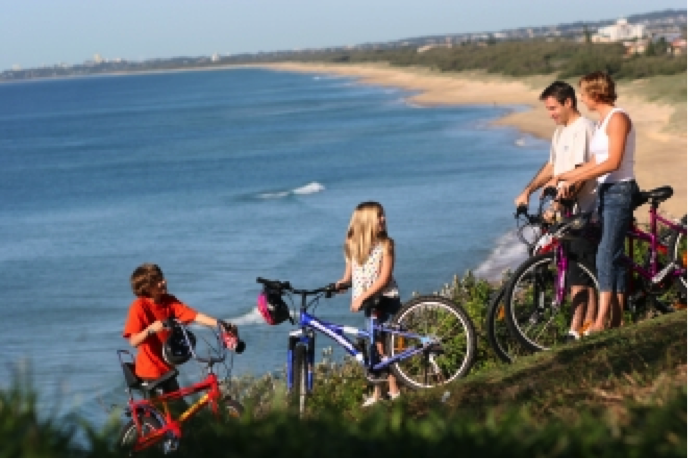 There is so much to do in Caloundra and most of the activities are free. The kids will love the playgrounds jotted along the beachfront and adults will love the fitness equipment. There’s a flying fox for the older kids, bush walking trails, swimming and surfing. 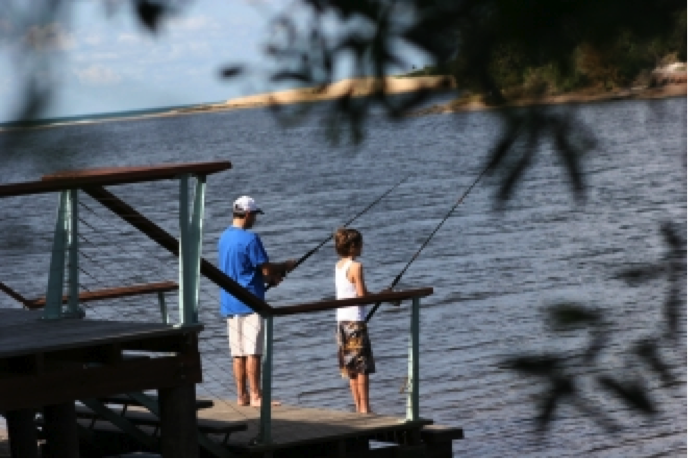 Fishing is also a popular pastime and you can see people fishing from the specially made fishing areas along the boardwalk. They even have bait trays set up for public use. Hire a boat, jetski or canoe and explore the bay at Bill's Boat Hire & Bike hire. 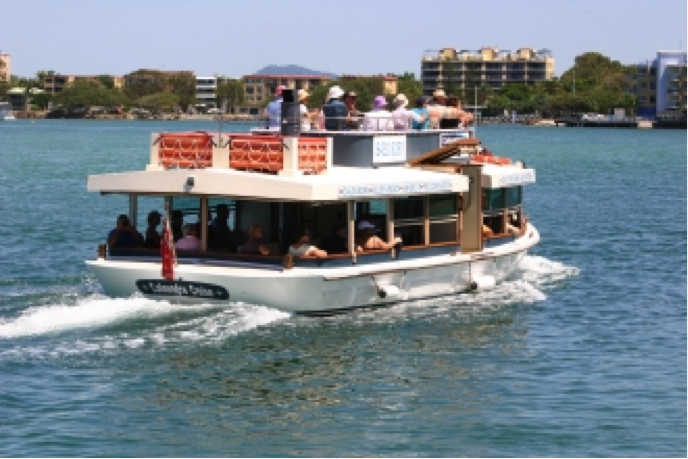 Half cabin cruiser up to 8 adults. A well as canoes, kayaks and surfboards. You may even hire a two or four seater bike to keep you fit. There's also a great choice of cruises to choose from. Kings Beach is close by where you will see a giant fountain or you may wish to drop a fishing line in at The Waterfront. We discovered an EXCELLENT Fish and Chips shop in Dicky Beach, which is very close to Caloundra central. It was called the Fishmonger’s Wife and just opposite is the perfect spot by the beach… to enjoy. If you are interested in the more relaxing holiday or would appreciate a massage at the end of a hectic day, a spa is always welcome. 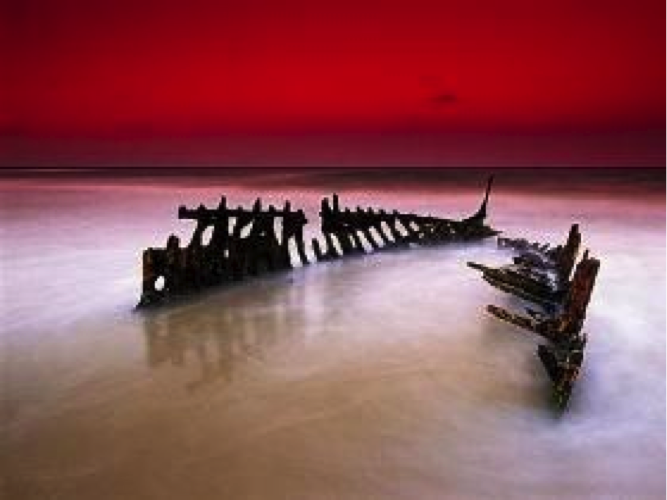 The SS Dicky skeleton lies on unspoilt Dicky Beach, about 2km north of Caloundra. The ship was washed ashore in 1893 during a cyclone with a crew of 11. Although attempts were made to relaunch it proved to be unsuccessful. The scene has become a photographers dream. 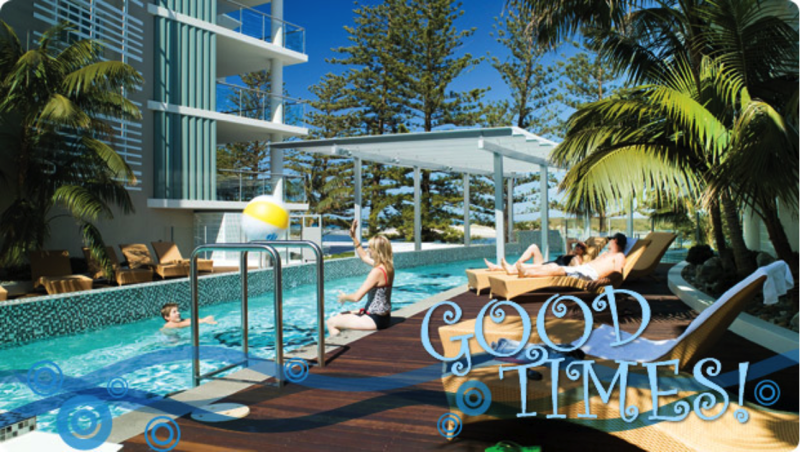 There is a huge range of accommodation in Caloundra however one of the best places to stay is the Rumba Resort. We stayed here for a 3 night special mid week package. We were extremely happy with the resort and it was VERY well priced. 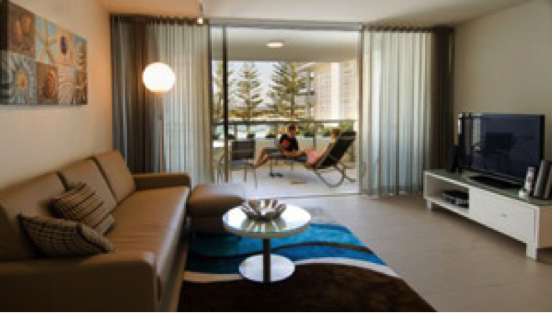 Apart from being modern, trendy, spacious, apartment style accommodation it has everything you need. Location is excellent with most rooms overlooking the ocean. One, two or three bedrooms that suit families or couples wanting to share. These are just a few of the features that the Rumba Resort has to offer. 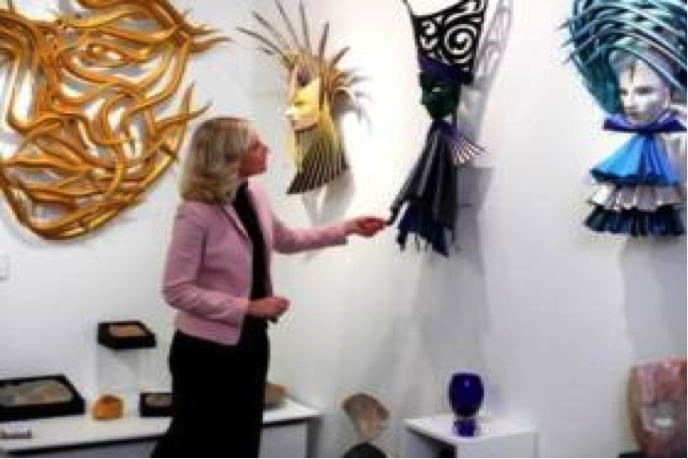 The staff are exceptionally friendly and helpful in every way. 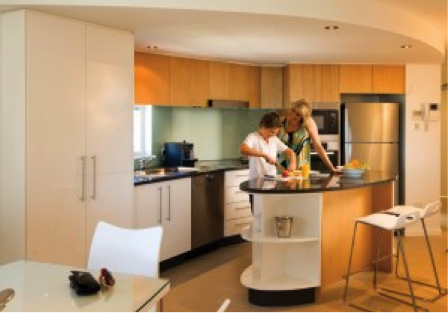 Resort Spa Suites – 1 or 2 bedroom suite with spacious living and dining room. Luxury Ocean Apartments - 2 or 3 bedroom designs of first class residential style apartments that gives the whole family room to move. Apart from the local shopping centres in the area you will find quit a large range of shops especially designed for tourists. Along the beachfront intermingled with restaurants and cafes are some really cute boutiques and art decor type of shops. One street back from the beach in Bulcock Street you will also find quite a lot of shops to wander through. The usually banks, supermarkets and liquor stores are also within walking distance. Send us your story, about a holiday destination or experience on the Sunshine Coast Queensland.